Please call owner Richard at 207-693-3229 or 352-552-2281. Slip included for 2018 Summer at Kettle Cove Marina, South Casco, Maine on Lake Sebago. 28 foot 1985 Cruiser. 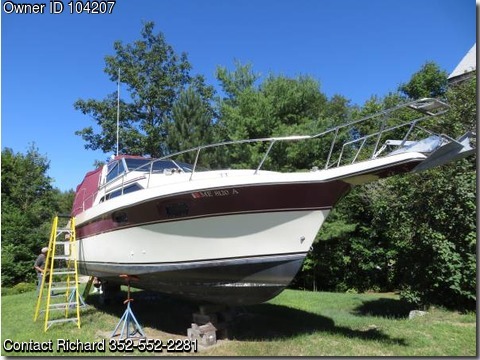 Cabin cruiser including bathroom, bedroom, dining area and kitchen. 2 new carbureted Crusader engines installed 2014. New pumps, blowers, electronics, and canvas.